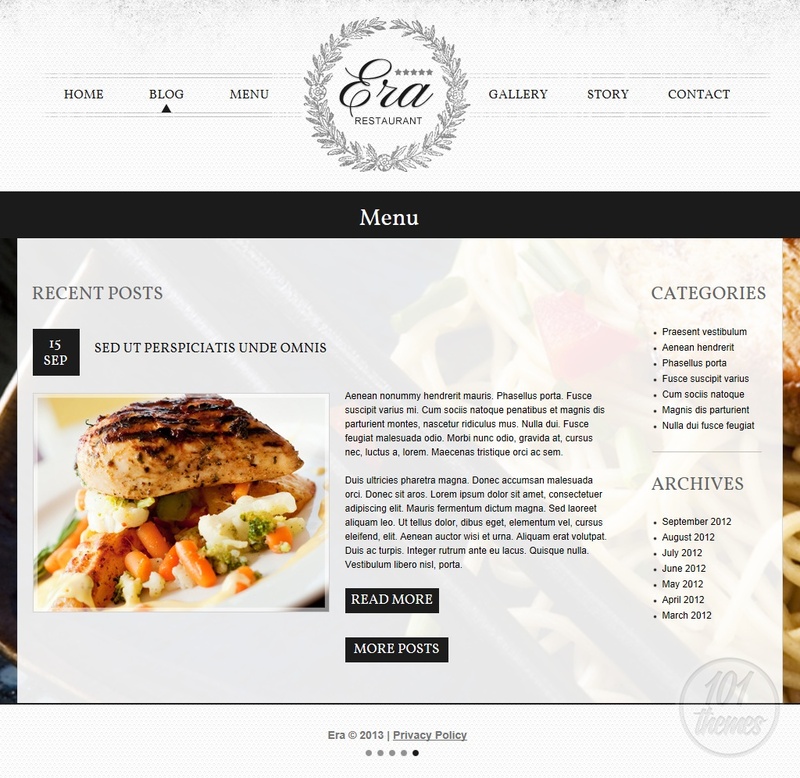 Era is a restaurant HTML5 template created by Angela and featured at Template Monster. This is a HTML template with the MotoCMS content management system integrated to help you easily modify and edit each element of the template. It looks very attractive and it has an unusual, classy looking design. You will have a huge slider with great photos of your delicacies places as a background, with the content box being pure white and fresh, making sure your delicacies and your posts are in the spotlight. The header has a nice, subtle gray color and a nice vintage pattern with pretty details included. 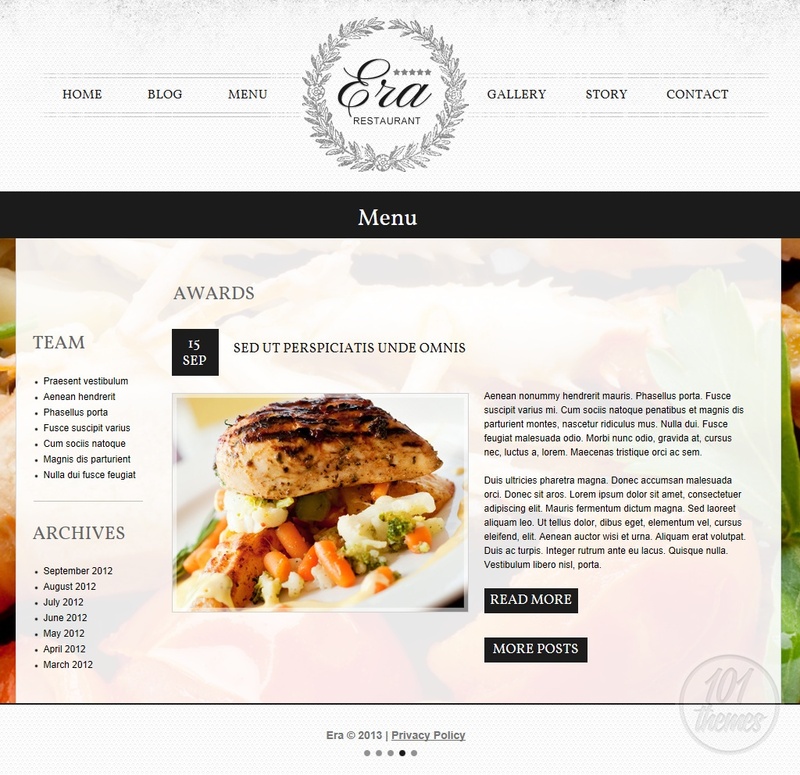 Various menu items will be presented at the homepage along with resized images and prices of each item. 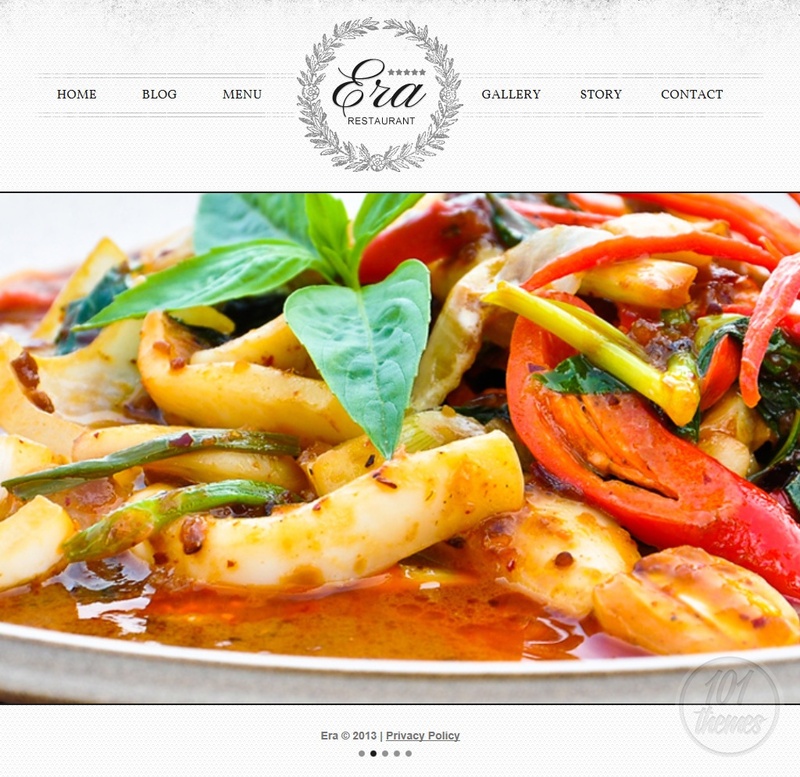 At the left, all of the menu categories will be listed, and by clicking any of the categories or dishes, your visitors get automatically redirected to a page where they can read all about it. 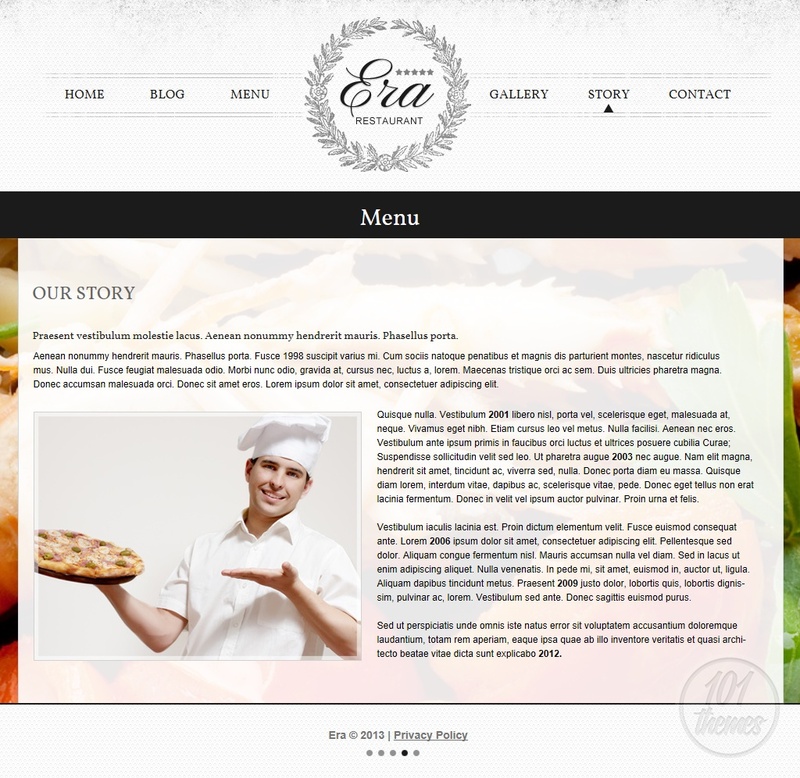 The home section reveals a drop down menu where you can place various posts and present your restaurant to your visitors properly by introducing them to your team, show off with any awards you might hold, or simply tell them a bit more about your place and its history in the “story” section. 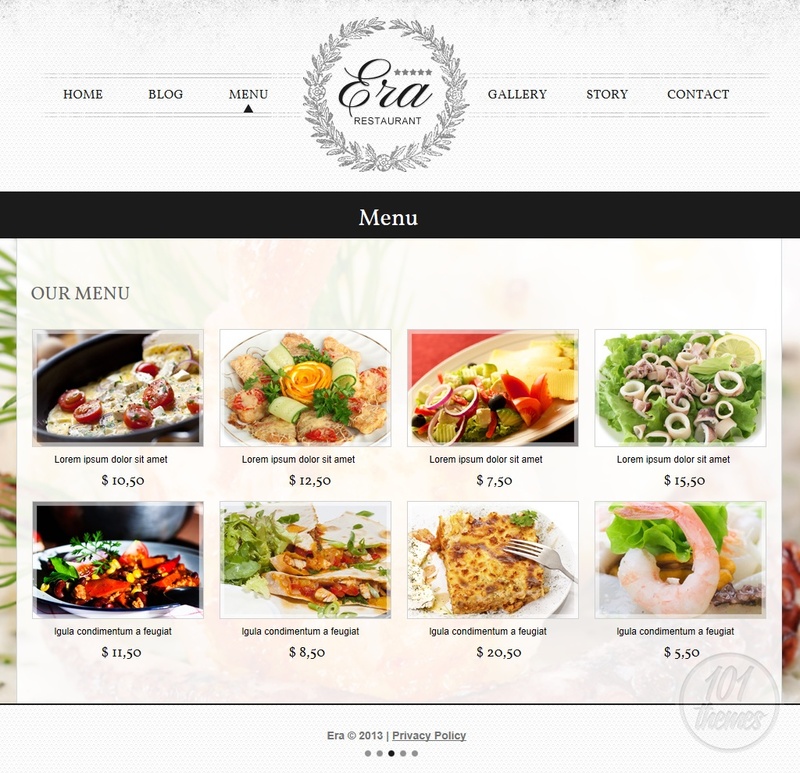 The menu looks great and you can add photos for each menu item along with prices and descriptions. 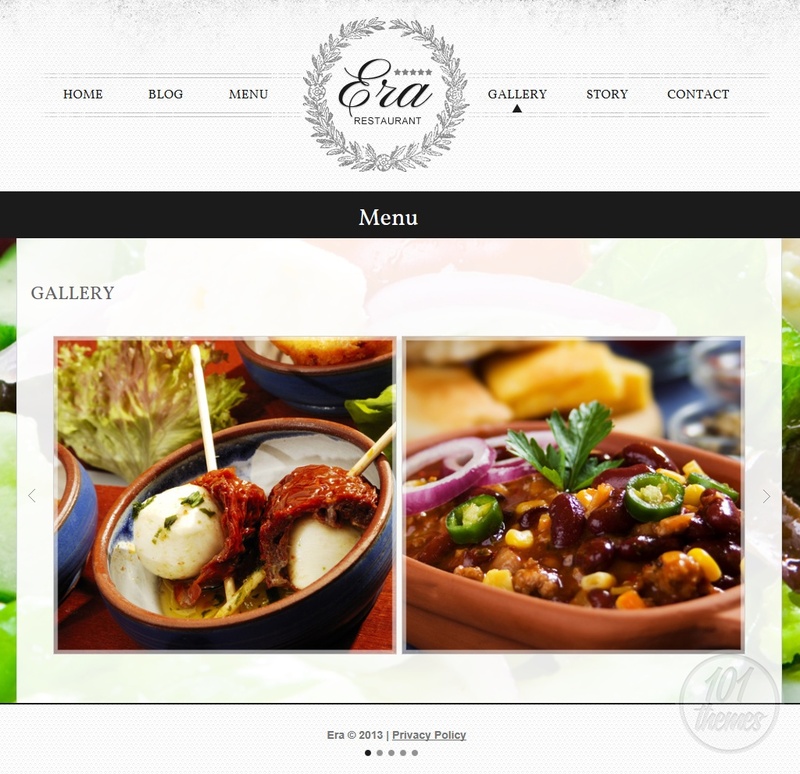 You can post as much as you want in the blog section and there is a separate gallery included for you to post many great photos of your delicacies or the nice atmosphere at your restaurant. 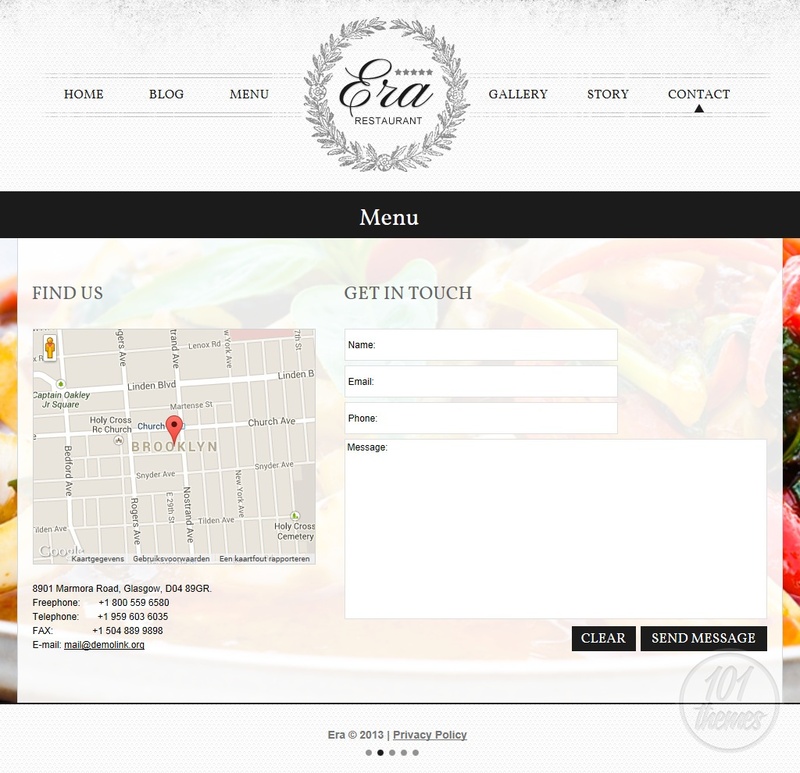 When the contact section opens up, it discovers a simple contact form and Google Maps integration so you can be sure everyone will easily find your restaurant.